Well the local guy has been in search for a long time for a great authentic Philly Cheese steak sub in the metro Orlando area. 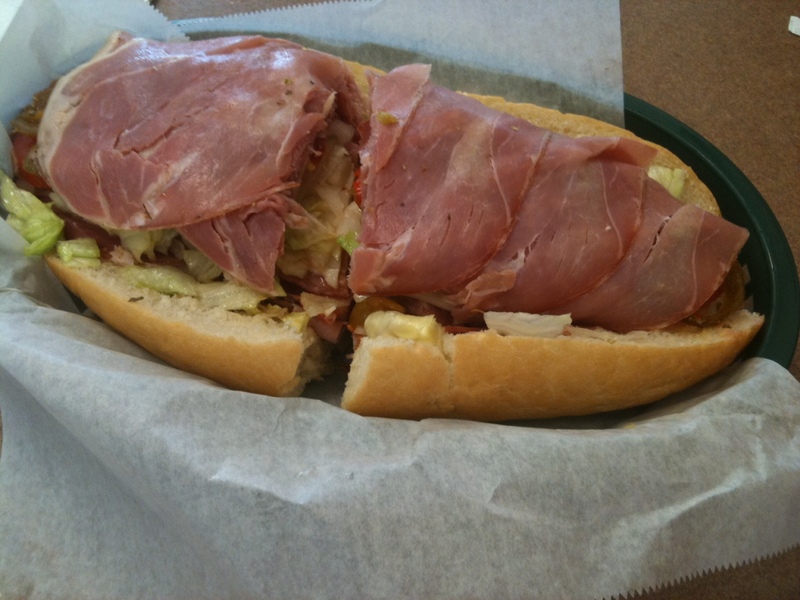 I have always liked the local Gabriel’s Subs in College Park. But trust me when I say this, I think I discovered the best Cheese steak restaurant outside of Philly? 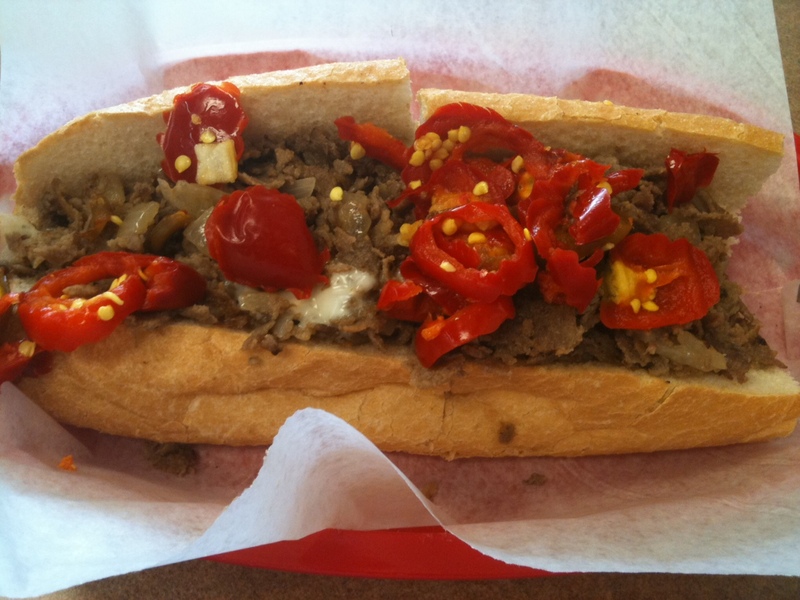 LaSpada’s Original Philly Cheese Steaks is the name. This is my new current favorite place to go for a authentic Philly Cheese Steak Sub in town. 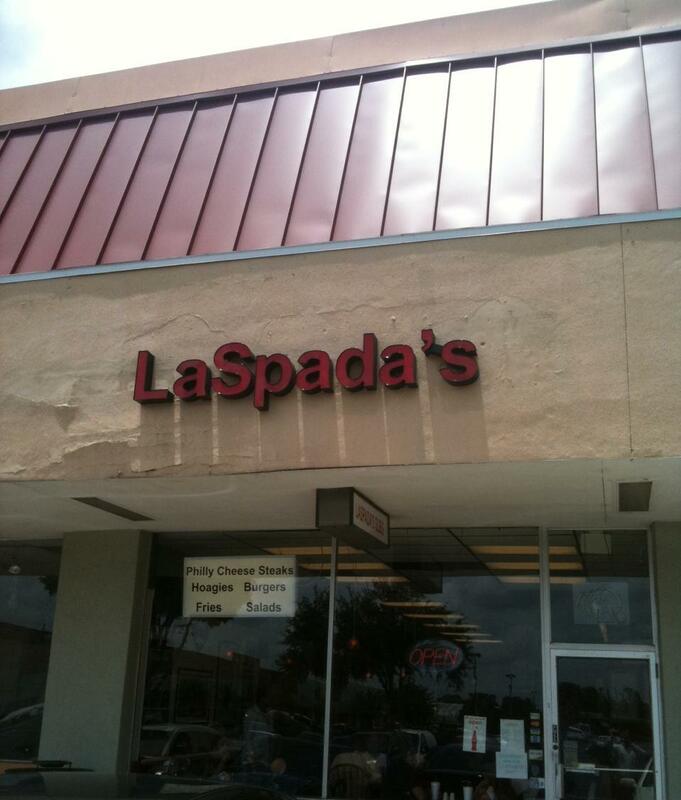 LaSpada’s is located in Orlando, off of Lee Road in the Lee Road Shopping Center. The place LaSpada’s occupies used to be a Sobiks Sub Shop. LaSpada’s is owned and operated by the LaSpada family. Originators of the LaSpada’s of Florida third and forth generations of the LaSpada family. This family has been serving Philly Cheese Steaks since the first LaSpada’s opened up in 1938. That folks tells me this family is serious about making good cheese steaks. Heck, they have been making Phillys for over 70 yrs. They got to be doing something right regarding making cheese steaks. I knew something was special about this place when I walked in at lunch. Most of the workers had on their Philly garb for starters. It was packed. Jammed packed. Always a great sign good food is in the house. On my first visit I had the Original Cheese steak 8 inch $6.10. The subs come in 8/10/12 inch sizes. My cheese steak came with top sirloin steak chopped up perfectly, with onions, and white American Cheese and I also added fresh hot peppers which only kicks it up a notch, all in a nice fresh warm hoagie roll. The sub came right off the grill into the basket and they then called my name. I picked up my fresh hot Philly and thought I was at Geno’s or Pat’s for a few seconds. Folks, this place knows how to make a Philly, period. I also ordered a side of French Fries$2.29. The fries were good and hot as well, they don’t keep their fries sitting around very long at all, the fries are cooked to order for the most part, and I like that. On another visit I tried a Hoagie, LaSpada’s Famous, $6.95. This home style Italian hoagie consisted of Pepper Ham, Genoa Salami, Cappicola, Prosciutto, Soppreatta, & Provolone Cheese with lettuce, tomatoes, pickles, onions, oregano, and oil and vinegar. Choice of hot, sweet, or banana peppers. The sub was fine. Nicely prepared. Fresh Italian cold cuts and all the fixins but it was a little too salty to my liking. My lunch guest ordered the Cheese Burger $4.25 and fries $2.25. 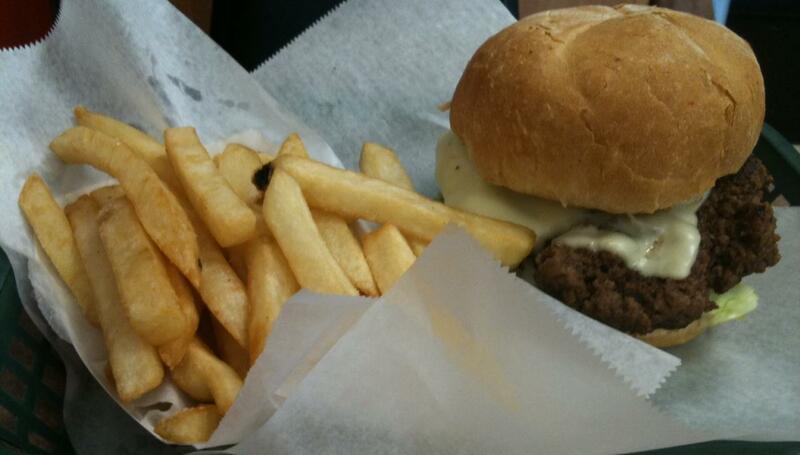 He stated it was one of the best burger’s he has tasted in the Orlando area in some time. And this burger looked good too, see the photo. Other menu items are hot dogs, various hoagies & deli sandwiches, sides, wraps and salads. But did I say they make fabulous cheese steaks?? Stick with the Philly cheese steak at LaSada’s ladies and gentlemen, they know how to execute on this old classic cheese steak sub. Other items of interest about LaSpada’s. Plenty of parking is available. You place your order at the counter. You then wait for your name to be called. It can take a while during the week at lunch for your name to be called. You can call ahead your order. It’s a hole in the wall. There is lots of grease occupied here. It’s a place you might not want to take a first date to. It’s probably not the cleanest place you will ever go to, but did I articulate they make great cheese steaks? LaSpada’s is open Monday – Friday 10:00-5:00. Saturday – Sunday 11:00-4:00. Address: 1010 Lee Road, Orlando, Fl 32810.